In the modern era of publishing, Amazon is the king. It has created a monopoly in the industry; a well oiled machine that is confident in itself, even as it opposes one of the biggest publishers by market share, Hatchette. Hatchette is just one of many publishers out there struggling to hold the line against the massive Amazon front, and their previous offensive against the media giant resulted in a federal antitrust suit. The conflict reached a new height recently, with Amazon barring Hachette titles from being purchased this summer and fall. Hatchette’s senior vice president released a statement concerning the two opposing polarities the day after the bar. Independent booksellers are pouncing at the opportunity, declaring that they will supply readers with Hachette books, and Books-a-Million will be selling the titles at a significant discount. While Hachette is striving to maintain the traditional methods of publishing, their company dates back to 1837, Amazon has reshaped the entire landscape of the industry by redefining the relationship between readers and their books. This raises the question about traditional publishing houses lifespan, so the case between the two companies has all eyes watching. In a world when editors sharpened prose, publishers took major cuts of proceeds from authors, and marketing was done by the represented house with titles being presented instead of simply distributed like any other consumer good, will the traditional methods be enough to compete? Self publishing isn’t quite as easy as that, however. Amazon doesn’t market your book for you, like traditional publishing house would. The author has to do that themselves. They depend on the kindness of strangers, and those strangers are becoming antsy, even angry, at Amazons callous efforts to strangle the big publishing houses out of their sales. The result of this conflict will either make or break Hachette, and one can only wonder about the future of publishing as writers are diving into unknown seas all by themselves to avoid the dreaded slush pile. Will major publishers adopt similar methods of distributing their titles like Amazon as a result? Will they adapt, publish at the press of a button, and market for authors who desperately want their stories to see the light of day? Just because something has always been done a certain way doesn’t mean it’s right. 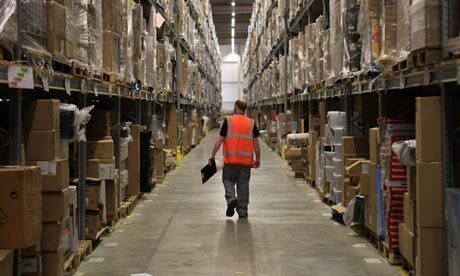 Many brilliant writers have been rejected by traditional publishers; at least Amazon’s way is fairer. Readers get to see a wider range of books and not just the genres preferred by the publishers. You couldn’t be more correct. I believe that it was Herbert’s DUNE that was rejected up to twenty times before a publisher finally took notice of it. Now, he’s considered the grandfather of science fiction. To be honest, most of those rejections most likely were sent out without the submission even being read at all. It’s sad, but it happens. Also, It’s difficult, sometimes, for some people who are so accustomed to the way that things are done to accept that things change. Great post. The publishing houses certainly haven’t kept up with the times; and that is largely due to the marginal profits they experience as a whole. I suspect they get burned often enough to make them think twice about taking on an unknown author. However, the fact remains that they have largely remained out of sync with the current market in regard to readers AND authors. The convenience of ebooks appeals greatly to both groups and Amazon cutting out the middle-man (a common business model) was inevitable. Conventional publishings’ response to this was sluggish. Was it hubris? A fear of change? Or perhaps they believed the initial high cost of ereaders would make them unattractive options in the long term? I don’t know but whatever their reasoning was; it has been proved wrong. Amazon should learn from this as well; how the seemingly infallible publishing gatekeepers of yesteryear now look increasingly irrelevant. Amazon could join their ranks one day if they neglect any stakeholders. I think you’re giving traditional publishers too much credit on the topic of marketing – I hardly ever see anything in the way of marketing for books these days unless they are from a big name author like Stephen King or James Patterson. Mid-list authors in particular need to market themselves to have a chance at turning their next book into a bestseller. About the only authors who get much of a marketing push these days are first-timers and if their book isn’t a bestseller, they don’t get much of a marketing spend on their subsequent books. In that way, the Big Six are very similar to Hollywood – they heavily promote books by big name stars and spend next to nothing on things from mid list authors. I understand it from a business sense, but personally, marketing was one of the biggest (if not the biggest) advantages traditional publishers had to offer. Sure they edit the book and get a cover done, but there are so many freelancers out there now that can do take care of those services, that it’s not as important as the marketing aspect is IMHO. The very fact that publishers take the larger part of the author’s sales and force the author to do all his or her own publicity is why so many of my self-published friends said they went that route instead of the agonizing search for an agent, then a publisher, etc. Yeah, they take on more risk, but they’re already doing much of the work of selling the book. Why not reap the larger part of the benefits? As for Amazon, they have such a horrible reputation for rapacious business practices that quite frankly, I spend as few of my hard-earned dollars with them as possible. And I’m not the only one. We, as consumers still have the choice to do business where we want. In my case, there is so little that I want that I can’t get elsewhere, I don’t have to do business with Amazon. I just hope that I still have that choice in a few years.